International South African divorce is more common than many people realise. Perhaps you went on holiday abroad. You met the love of your life. You married and settled down in a foreign country. Only things didn’t quite go according to plan and now you are seeking divorce. Or maybe you are a non-South African married to a South African. You live overseas and want to start divorce proceedings against your South African spouse. Or you are in South Africa but your spouse is not. In all these situations, you can divorce from abroad in South Africa or divorce a foreign spouse from here. Simon Dippenaar & Associates, Inc. in Cape Town can help you. You can divorce in South Africa if you are abroad. You can divorce in South Africa if your spouse is abroad. You can make child care and contact arrangements (previously called custody and access) in South Africa from abroad, if the child is in South Africa. This is called the forum non conveniens doctrine or “court of most convenience”, which allows the interests of justice to be served in a court (with proper jurisdiction) in another location, if that is more convenient for the parties involved. If you don’t know where your spouse is, you can still start divorce proceedings. If you believe your spouse is in South Africa but their whereabouts are unknown, you can apply for substituted service. This allows the court to issue a summons by an appropriate method, such as advertising in a newspaper published where the defendant is believed to be living. If your spouse is abroad and you want to start divorce proceedings here in South Africa, you can use a legal process called edictal citation. An edictal citation is a summons served by a sheriff (who may be called a “service processor”) or a solicitor in a different country. In this case the substituted service and edictal citation processes can be combined. You will have to use the means available in the country where you believe your spouse resides to locate them. This can now include social media and email. The processes are not interchangeable. The edictal citation allows the summons to be served in another country. Substituted service makes provision for the divorce to go ahead if the defendant (the spouse) cannot be found, but every effort has been made to find them. An uncontested divorce is relatively straightforward. The person who brings the divorce proceedings is known as the plaintiff. Conversely, the person on whom the summons is served is the defendant. If the plaintiff lives abroad and the defendant is in South Africa, and agrees to receive the summons from the South African sheriff and appear in court, the divorce can be finalised in approximately four weeks. Similarly, if the plaintiff is in South Africa and the defendant lives abroad, and both agree to co-operate, the divorce is also considered uncontested and can proceed quickly in the South African courts. However, divorcing in South Africa is more complex if either spouse is abroad and the divorce is contested – that is the two parties can’t agree on the terms of the divorce. If the party living abroad refuses to act as plaintiff, or the spouse in South Africa refuses to accept service and appear as the defendant in court, the divorce proceedings can take up to three months and the costs will be considerably higher than for an uncontested divorce. With Simon Dippenaar & Associates, Inc., an uncontested international divorce, where all parties give consent and co-operate fully, costs R15 000 excluding VAT. If an edictal citation is required, the cost is c. R30 000, excluding VAT, plus the cost of the international correspondent. Contact Divorce Attorney Cape Town to discuss your specific circumstances. There are many divorce lawyers in Cape Town. Why should you use Simon Dippenaar & Associates Inc.? Simon and his team are experts in divorce, both domestic and foreign. 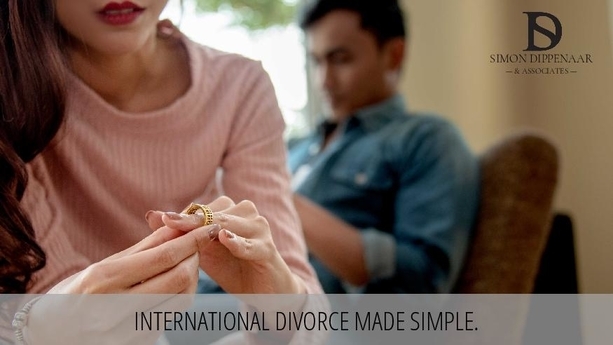 With international correspondents in all major jurisdictions and access to online systems the world over, the professionals at Simon Dippenaar & Associates Inc. will ensure your international divorce is handled efficiently and sensitively. Simon Dippenaar & Associates, Inc. has a reputation for empathy and professionalism, with a personal touch. Every client is an individual, and every divorce is handled with dignity and respect, no matter the circumstances. 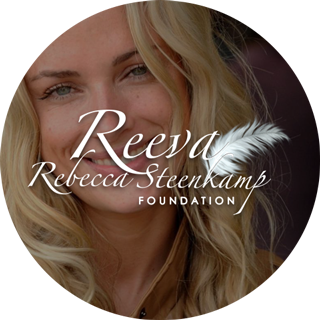 This entry was posted in international divorce and tagged Divorce from abroad in South Africa, Divorce in South Africa, Foreign divorce, international divorce, South African divorce. Bookmark the permalink.